Are you sure is not on 44th street? 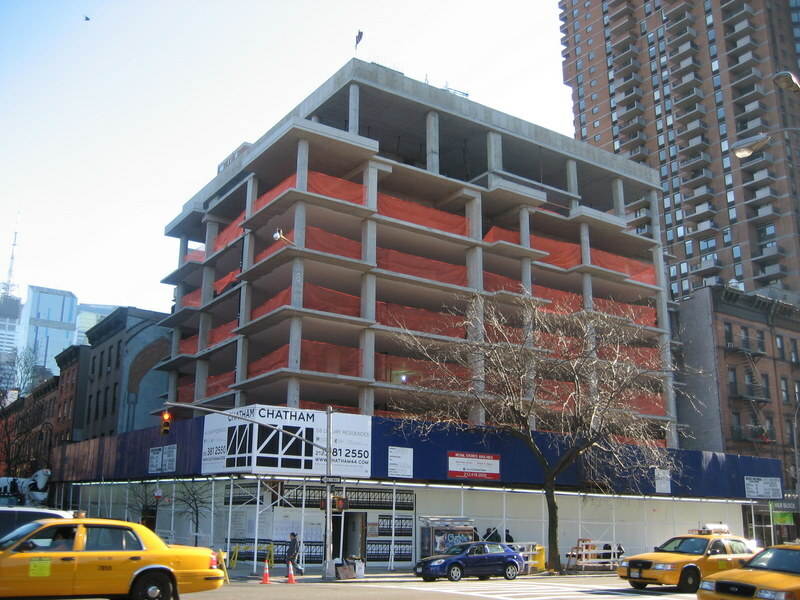 A 9-story residential condominium building is under construction at 464 West 44th Street. The project will have 58 apartments and has been designed by the Stephen B. Jacobs Group, which was the architect of the striking Gansevoort Hotel in the Meatpacking District. The building will be known as Chatham 44 and the developer is Chatham 44 Associates LLC of which Harvey Gessin is president and Mark Kalimian is vice president. The building will have studio, 1-bedroom and 2-bedroom units and duplex penthouses. Most of the apartments will have private outdoor space. The building will have a concierge and rooftop cabanas for sale and 28 private storage units. It will also have a bicycle room and apartments will have washers and dryers and Miele and Sub-Zero kitchen appliances and bathrooms will have Kohler sinks with "stillness" faucets and "Tea-for-Two" soaking tubs. Some units will have glass-enclosed shower stalls. 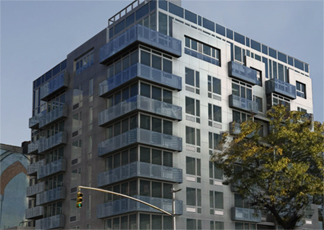 The building, which also fronts on Tenth Avenue, is expected to be completed next summer and prices are expected to be start from about $500,000. Let's hope it has retail at the base, otherwise it'll be another dull corner. Paging Duane Reade... Paging Duane Reade... Please dial "7" for "new retail development" on the white courtesy phone. Thanks. It looks like one of those Williamsburg developments.